Our elegant Chenille Scroll Bed Scarf in blue, adds an inviting comfort to the guest room. A woven rayon, polyester blend, this scarf not only protects the duvet cover or coverlet, but guests can also use as a throw. Also available as a bed runner. Shown in blue, but also offered in cranberry or gold. 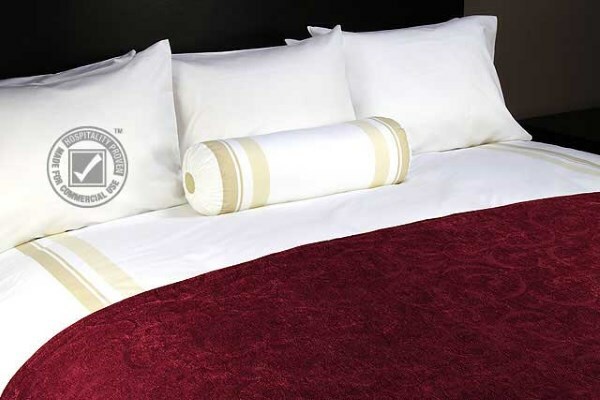 Our plush Chenille Scroll Bed Scarf in cranberry, adds a warm, cozy feel for your guests. A woven rayon, polyester blend, this scarf not only protects the duvet cover or coverlet, but guests can also use as a throw. Also available as a bed runner. Shown in cranberry, but also available in blue or gold. 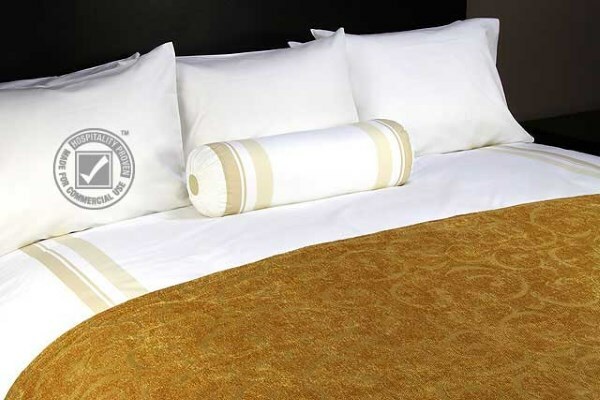 Our luxurious Chenille Scroll Bed Scarf in gold, adds a rich feel to any guest room. A woven rayon, polyester blend, this scarf not only protects the duvet cover or coverlet, but guests can also use as a throw. Also available as a bed runner. Shown in gold but also available in cranberry or blue. 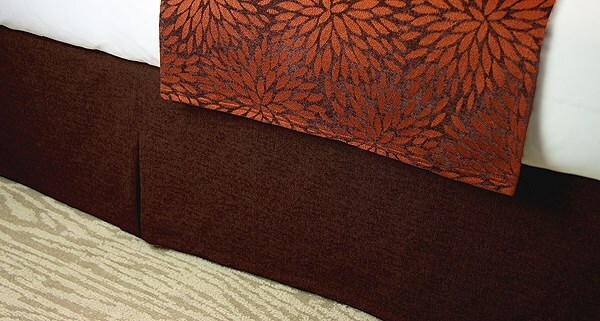 Our Chenille Fading Mums Bed Runner with a chocolate base and Copper mums offers your guests a refreshing comfort. 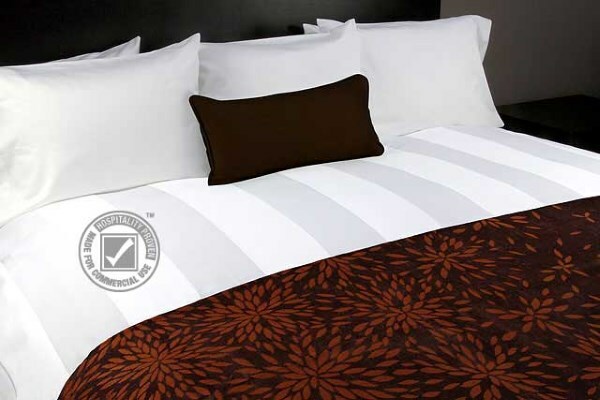 Made of a polyester, rayon blend the runner has a 1” hem and will provide your guests a luxurious feel, while protecting your duvet cover or coverlet. 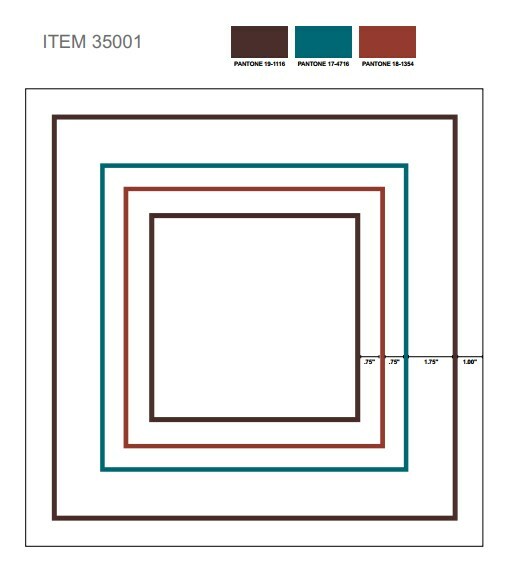 Shown in Chocolate/Copper, but also available in Chocolate/Green and Gold/White. Make a memorable impression on your guests with our Chenille Fading Mums Bed Runner with a chocolate base and green mums. 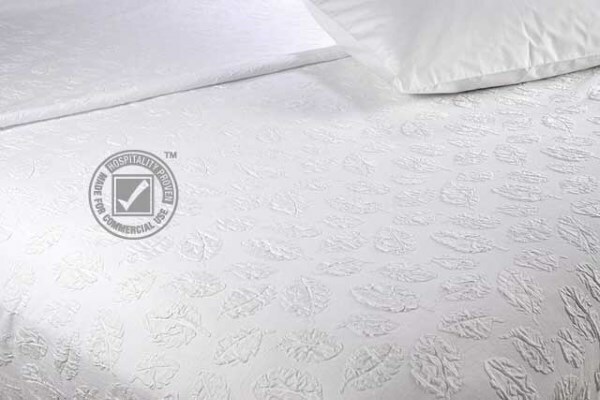 Made of a polyester, rayon blend the runner has a 1” hem and will provide your guests a luxurious feel, while protecting your duvet cover or coverlet. 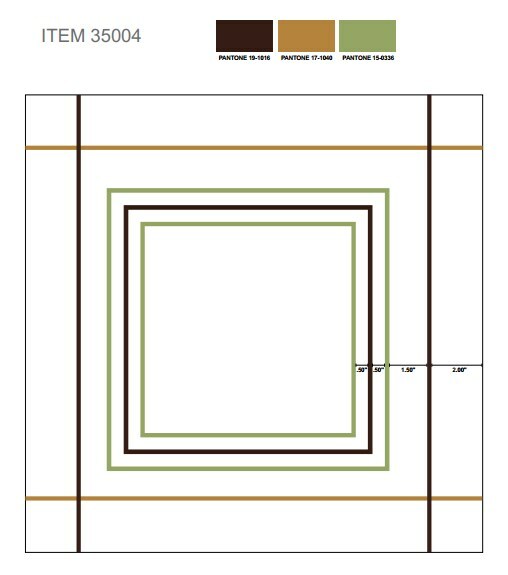 Shown in Chocolate/Green, but also available in Chocolate/Copper and Gold/White. 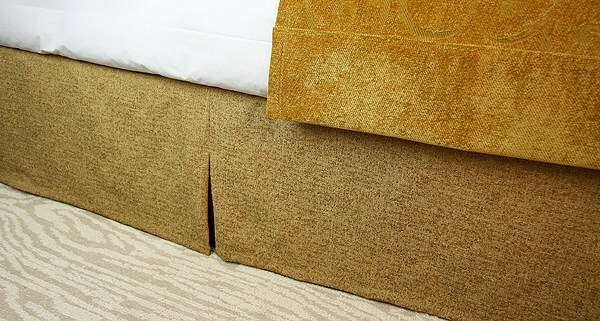 For a unique first impression on your guests, try our Chenille Fading Mums Bed Runner with a gold base and white mums. Made of a polyester, rayon blend the runner has a 1” hem and the mums fade from solid to scattered petals. Shown in Gold/White, but also available in Chocolate/Copper and Chocolate/Green. 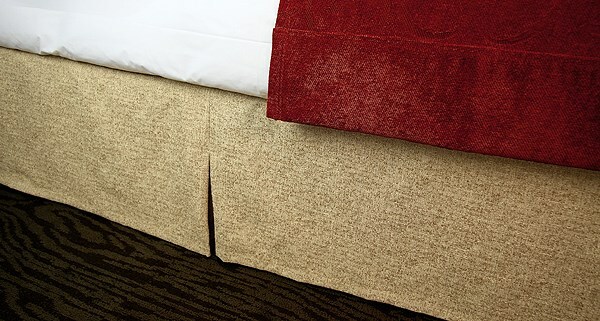 Our Strata Bed Runner in mink adds a warm and relaxing feel to any guest room. 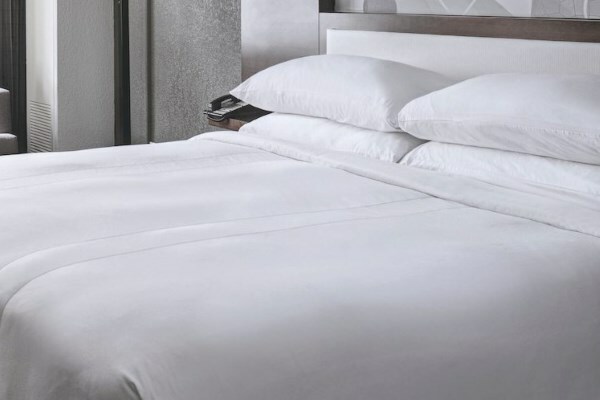 Made of a spun polyester, with 1” hem, the runner not only protects the duvet cover or coverlet, but guests can also use as a throw. Shown in mink but also available in turquoise. 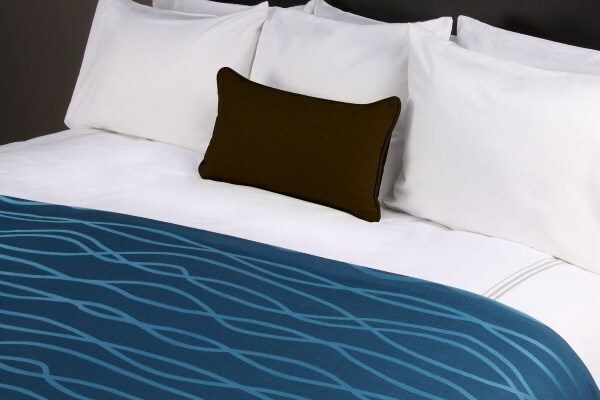 Our Strata Bed Runner in turquoise adds a rich, unique feel to any guest room. Made of a spun polyester, with 1” hem, the runner not only protects the duvet cover or coverlet, but guests can also use as a throw. Shown in turquoise but also available in mink. 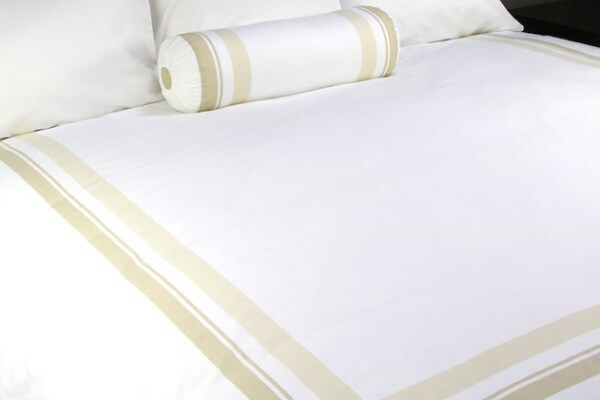 The classic stripe of this Verano Bed Runner compliments any décor. 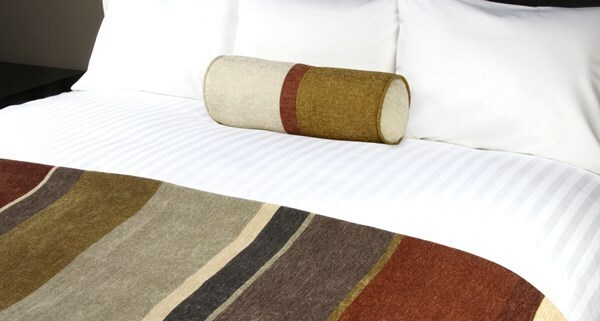 With warm, earthy tones our Verano Stripe bed runner pairs well with traditional or modern rooms. 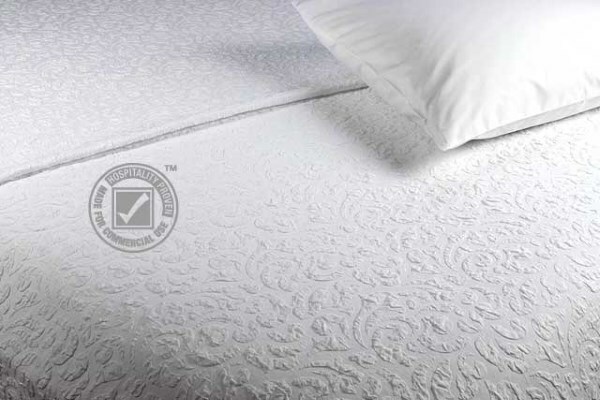 Made from a woven rayon, polyester blend, this runner not only protects the duvet cover or coverlet, but guests can also use as a throw. 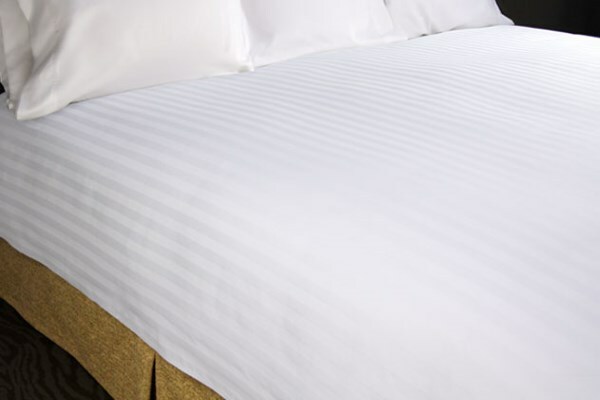 Our bed skirts add the look of luxury to any guest room, with two corner pleats beginning 6” from the top of the bed skirt so that the pleat lays perfectly. The bed skirts have an unlined drop with a hugger top. 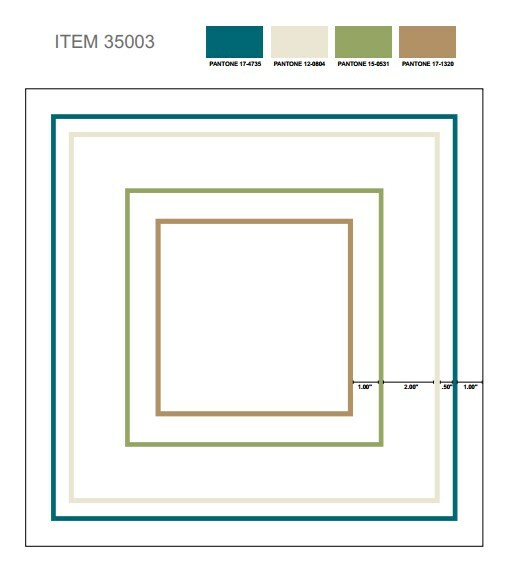 The drop fabric is 100% polyester and the decking fabric is a 70/30 cotton, poly blend. 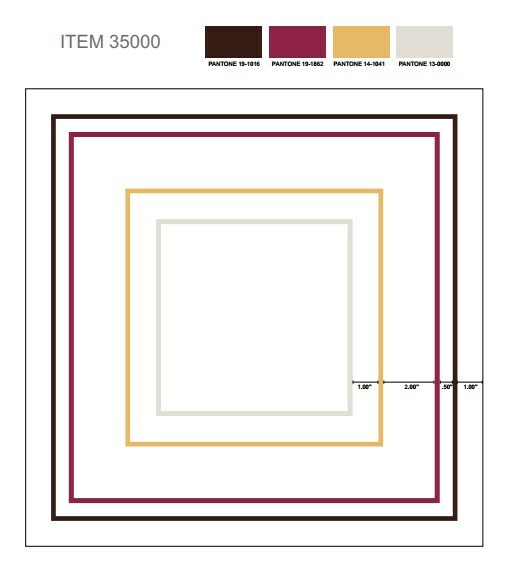 Available colors: Gold, Praline, Russet, Chocolate and Mink (not shown). 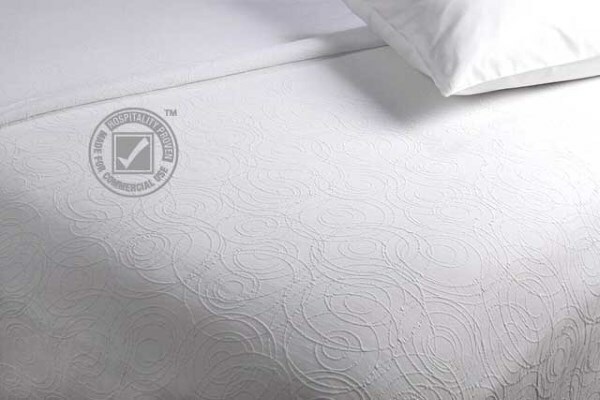 Made of 100% woven polyester fabric, with a brushed finish, the beautiful sham will highlight any room. Embroidered in shades of gray, red, yellow and brown. Sham has an envelope closure with a 1” overlap. Size is 18×18” with a knife edge. 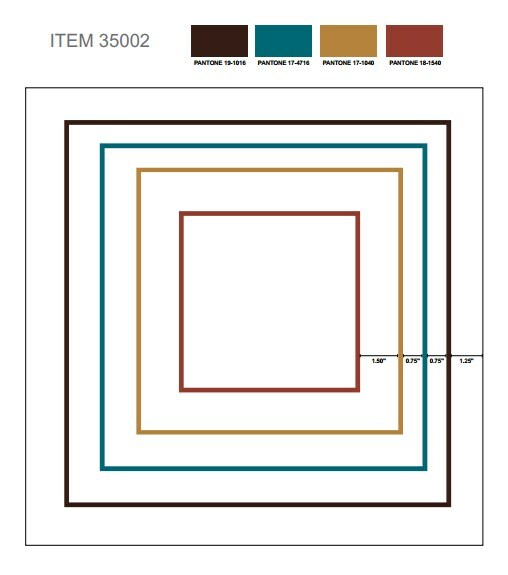 Embroidered in shades of brown, blue and rust, this sham will add lovely colors to your bedding. 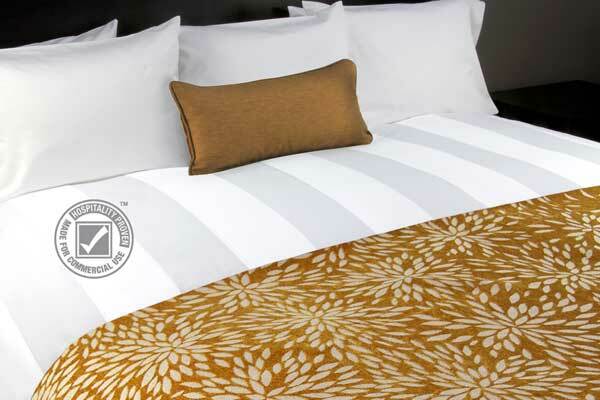 Made of 100% woven polyester fabric, with a brushed finish. Sham has an envelope closure with a 1” overlap. Size is 18×18” with a knife edge. 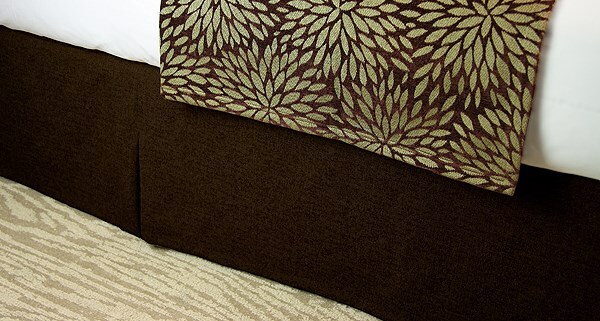 Add warmth to your guest rooms with this decorative sham. Made of 100% woven polyester fabric, with a brushed finish. Embroidered in shades of brown, blue, gold and rust. Sham has an envelope closure with a 1” overlap. Size is 18×18” with a knife edge. 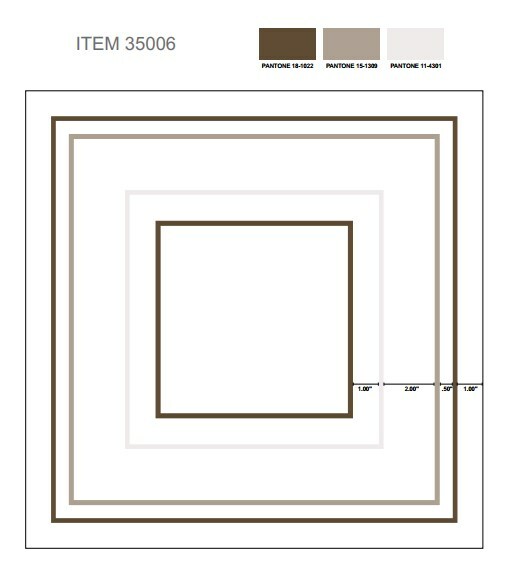 Made of 100% woven polyester fabric, with a brushed finish, this luxurious sham adds just enough color to highlight any room. Embroidered in shades of blue, gray, green and tan. Sham has an envelope closure with a 1” overlap. Size is 18×18” with a knife edge. Add some depth to your bedding with this unique patterned sham embroidered in shades of brown, tan and green. Made of 100% woven polyester fabric, with a brushed finish. Sham has an envelope closure with a 1” overlap. Size is 18×18” with a knife edge. 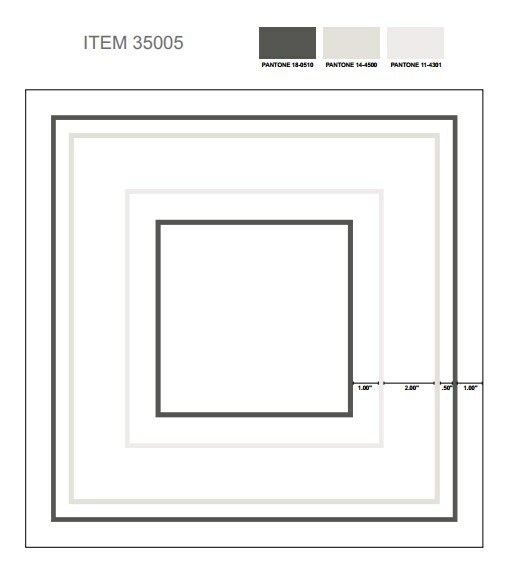 Add luxury to any bedding with this decorative sham, embroidered in shades of neutral gray. Made of 100% woven polyester fabric, with a brushed finish. Sham has an envelope closure with a 1” overlap. Size is 18×18” with a knife edge. 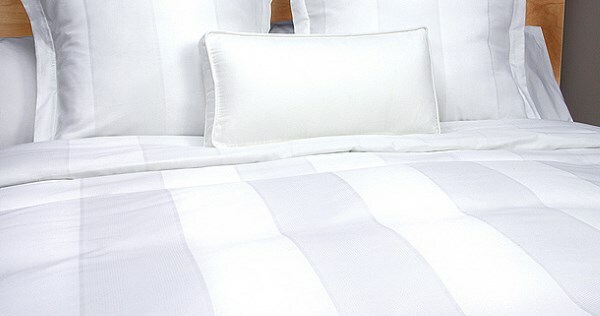 Made of 100% woven polyester fabric, with a brushed finish, this beautiful sham will add softness to your decor. Embroidered in shades of neutral tan and gray. Sham has an envelope closure with a 1” overlap. Size is 18×18” with a knife edge.